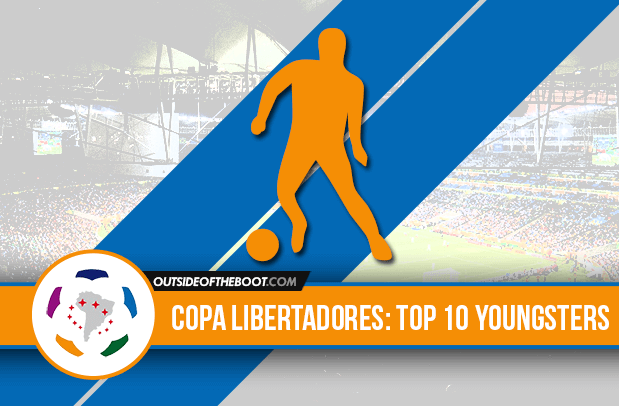 Tom Robinson writes about the top 10 youngsters of the Copa Libertadores so far this season. The group stage of the 57th edition of the Copa Libertadores has now concluded and we now know who will contest the knock out stages of South America’s equivalent of the Champions League. Once again there is a strong Argentinian presence, with five of their six entrants making it through, and Mexico boast a 100% record after Toluca and Pumas safely made it through. The form team of the early rounds has been the mightily impressive Colombian outfit Atletico Nacional and many will rate them favourites for the title, while the surprise package has come in the form of Deportivo Tachira, the first Venezuelans to qualify from the group stage since 2009. 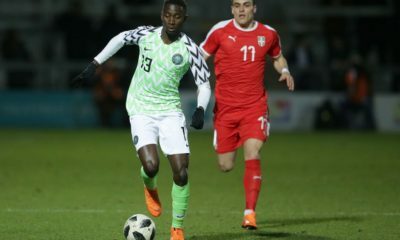 As ever, there have been a number of noteworthy contributions from some of the most exciting young talents on the continent. Below are just ten of the standouts from the first half of this year’s Libertadores. Under Facundo Sava, Racing have been pretty entertaining, scoring lots of goals and conceding plenty too. With a strikeforce including Diego Milito, Lisandro Lopez and Gustavo Bou it’s understandable why Sava favours an attack-minded set up. But another forward has been as good, if not better. 21-year-old Colombian Roger Martinez did well on loan at Aldosivi last season but no-one quite expected the impact he would make on his return. 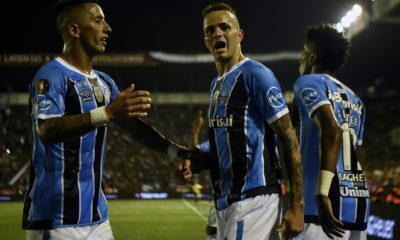 Martinez netted three goals in four games, including a crucial equaliser away at Bolivar which effectively sealed Racing’s progression to the Round of 16. A quick, agile forward with precise finishing, he also scored a brace against the USA to send Colombia to the Olympics. Racing fans will hope he proves to be a less hot-headed incarnation of his compatriot Teo Gutierrez. Arguably the best young player in the Argentinian Primera over the last six months, classy playmaker has been central to Central’s scintillating form in both league and Libertadores. 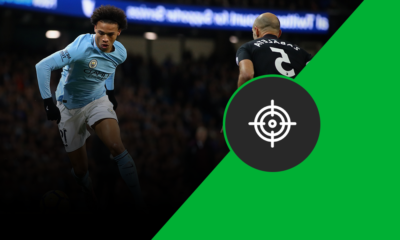 The Rosario-born midfielder possesses amazing vision along with the ability to thread an eye of a needle pass, which has seen him chalk up five assists in eleven league appearances. In the Libertadores, the 20-year-old has been central (get it!) to el Canalla topping Group 2 with eleven points and with his telepathic understanding with Marco Ruben up front and fellow prospect Franco Cervi they can harbour realistic ambitions of going far. Unsurprisingly, a whole host of clubs are clamouring for his signature, with PSG the most likely destination. Mexican side Toluca have been one of the better sides in this year’s Libertadores and amongst their ranks 18-year-old striker Ernesto Vega has caught the eye. Competing for playing time along with more established forwards like Uribe, Arellano, Triverio and Esquivel, Vega has rewarded the faith shown in him by Jose Cardozo, scoring once in a 2-1 victory over LDU Quito and generally impressing with his all-round contribution. Built like a bull, the stocky but skilful striker repeated the trick in the league recently with a well taken brace against Veracruz. Definitely a player worth keeping tabs on. Hulking centre back Yerry Mina formed an excellent defensive partnership with Francisco Meza as Santa Fe won the Copa Sudamericana in 2015 but unfortunately his side crashed out of the group stages of this year’s Libertadores, pipped to second place in Group 8 by Cerro Porteño. Meza might be gone but 21-year-old Mina still showed his quality as Santa Fe only conceded five times in eight games. Mina also showed his threat from set pieces with three goals and is reportedly attracting attention from clubs in Italy and Germany. Ecuador’s sole representative left in the competition and serial producer of talent, Independiente del Valle qualified from a tricky group containing Atletico Mineiro and Colo Colo. Junior Sornoza is still the star man in their youthful frontline but another name is emerging alongside him. Sporting a Sadio Mane-esque haircut and abundant pace to match, the 21-year-old forward emerged from nowhere last year to hit 12 goals in 14 games in the Ecuadorian Primera. An ever-present in the Negriazules campaign, Angulo has scored twice, including a vital goal against last year’s semi-finalists Guarani in the qualifying round. Independiente will hope to bring some much needed cheer to their beleaguered country and Angulo will be central to their chances. After third party issues complicated a move to Inter Milan, Argentinian striker Jonathan Calleri found himself on loan at Sao Paulo. A brace on his Paulista debut immediately endeared him to the Tricolor faithful but it has been in the Libertadores where he has really shown his quality. The 22-year-old ex-Boca man scored a vital away goal against Cesar Vallejo to help Sao Paulo reach the group stage, where he hit another seven goals to make him the tournament top scorer so far. Admittedly four of these came in one game against Trujillanos but a satisfying double against River and an all-important equaliser away at The Strongest were crucial in ensuring Sao Paulo’s passage to the knock out round. Having made it past the group stage for the first time since 2013, much of the attention on Nacional’s campaign has been the return of Nico ‘Diente’ Lopez. The 22-year-old has been in sparkling form with three goals in five games, helping el Bolso to navigate a tricky group and set up a clash with Corinthians in the round of 16. However, the unsung 19-year-old midfielder Felipe Carballo has quietly been one of the revelations. Possessing a good anticipation and reading of the game, as well as a decent turn of pace, Carballo has provided energy and bite in the Nacional midfield. A golazo against Defensor Sporting in the league showed the variation to his game which makes him an interesting prospect to keep an eye on. The Venezuelan champions shocked everyone by finishing as runners up in Group 7 ahead of heavyweights Olimpia and Emelec and much of that was thanks to the performances of 21-year-old goalkeeper Jose Contreras. Despite a couple of heavy away losses, Tachira’s qualification was built on strong home performances in San Cristobal, winning three games and only conceding once. His performances saw him called up to the Venezuela national team, making his debut against Costa Rica and then starting World Cup qualifier against Chile. Along with fellow promising keeper Wuilker Faríñez, still only 18, he is expected to be part of the Venezuela squad for the Copa America Centenario this summer. 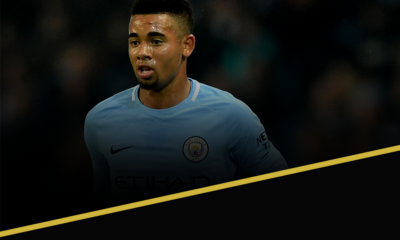 Even though Palmeiras narrowly missed out on qualification from Group 2, Gabriel Jesus still managed to underline his reputation as one of the best prospects in Brazil with his Libertadores displays. One of the stars of 2015 U20 World Cup, the fleet-footed 19-year-old from Cachoeirinha couples mesmerizing footwork and skills with a willingness to track back and help defend. These qualities were clear for all to see as he scored four goals in five games for the Alviverde. The only blot on his copy book was a stupid red card against Rosario but otherwise he still emerged with his reputation enhanced. Arsenal and Juventus are just two of the names he’s been linked to so expect to see plenty more of him, starting with the Olympics this summer. Dubbed by Tim Vickery as the most exciting talent in South America right now, it’s fair to say Moreno has enjoyed a meteoric rise to prominence. At the tail end of 2015 he hit 5 goals in 12 as Atletico Nacional claimed the Clausura title, including a vital goal against Junior in the decider to take the game to penalties. The 19-year-old striker has taken that form into the Libertadores with 3 goals in 5 games as los Verdolagas have blown away everyone in their path. There is plenty to like about Moreno. From his portmanteau of a name – a brilliant mash-up of Carlos and Marlon – to his excellent movement, mature decision-making and his predatory instincts. What’s more, he is a big game player and, such is his confidence, even has that streak of cockiness to try something different, as shown by his impudent bicicleta against Alianza Petrolera. He’s already made his debut for the Colombia national team and all of Europe’s top clubs are already sniffing around. Brand Marlos is well on the rise.